Happy Monday! Vacation was great but it’s good to be back. Hope you enjoyed the posts while I was away. Today I wanted to share with you this amazing double-take. 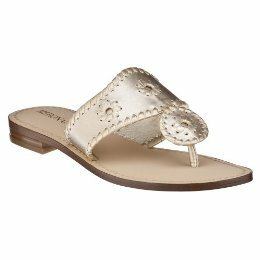 These shoes by Jack Rogers at Nordstrom for $95 look very similar to the Target pair for $20. Wow, another win for Target. That's crazy – go target!